Face masks are my secret to beautiful skin, so check out this beauty review to find out my skincare recommendations. I have normal to dry skin and I usually avoid using too many products. No matter how good these are, I believe every skin needs some rest time. Nevertheless, the beauty routine that I enjoy and try to practice every week is applying a face mask. They are easy to apply, smell and feel good, and leave your skin so fresh and soft! No matter your skin type, you can always find a face mask that is good for you, which is another reason I love this product! I find it easy to choose a mask for myself as my skin is not demanding and I have therefore decided to make a guide for all the women who struggle. Keep reading to find mask recommendations for your skin type! If you have oily skin, your goal is to remove the excess oil, impurities, and unclog your pores. When the oil mixes with makeup and sweat, it is likely to clog your pores, giving you a dull, tired look. Add to that the everyday dirt and pollution, so no wonder you are having so many difficulties to take care of your skin! Although skincare for oily skin is challenging, do not skip the use of face masks and your skin will be thankful. This mask from L’Oréal contains red algae and is mainly made for rough skin and deeply clogged pores. I really love this face mask as it feels so soft and light on my skin, and it also smells amazing. How to use it: After cleaning your skin, apply it to your face avoiding the lips and eye area. You should leave it on for 10 to 15 minutes and remove it with water in circular motions, which will create further exfoliation. If you leave clay masks for too long, they can dehydrate the skin. Apply it on your skin 3 times a week. This mask is very popular and is definitely not the typical beauty product. 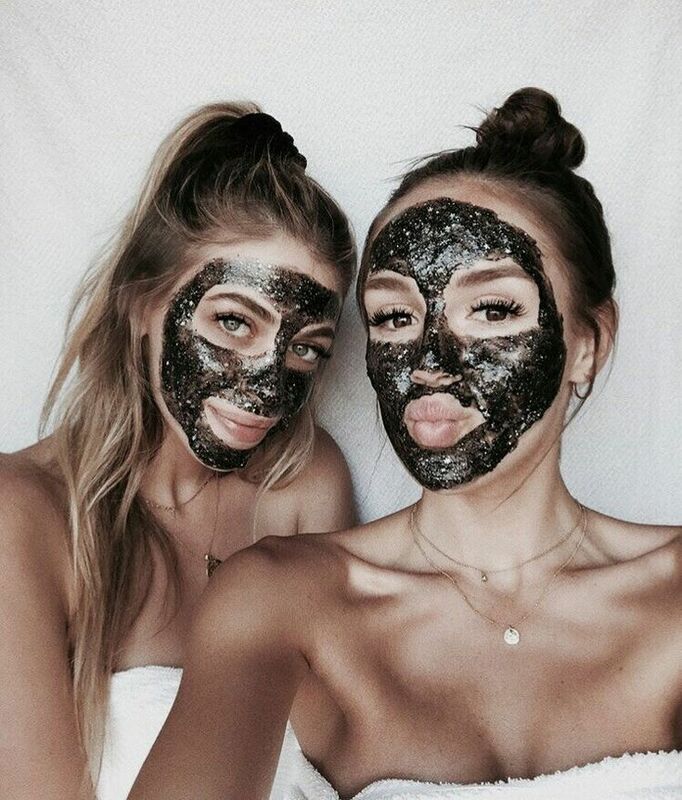 Apparently, the clay used in this mask comes from Death Valley in California, where it is sun-dried on high temperatures for up to six months. The clay is natural calcium bentonite and it does not contain any fragrances, additives or animal products. This natural product is ideal for acne prone skin, fighting imperfections and blemishes. How to use it: Apply it once a week on clean, dry skin for 5-10 minutes. Leaving it longer might cause slight redness. If you have normal to combination skin, it is difficult to find a balancing product. You do not want to dry out the already dry parts of your skin, but at the same time, applying too much moisture would cause excess oil. To avoid both, you should focus on hydration for which I would suggest a DIY mask. Creating your own mask gives you the ability to control the amount of ingredients and the effect it will have on your skin. Honey is great for dry skin as it deeply moisturizes the skin and its antibiotic properties are good as they treat oily, acne-prone skin. This mask is very simple to make as you only need two ingredients from your kitchen shelf! How to use it: Cleanse your skin and apply honey to your dry parts of the skin, and lemon juice to any areas which require hydration or healing. The latter will help in reducing your pores and will tighten your skin. Leave the ingredients in your skin for 10 minutes and repeat the routine once in 10 days. Be cautious while using lemon juice, as overconsuming it might change the natural pH and could potentially cause skin irritation, hyperpigmentation and sun sensitivity. Do not leave the mask too long as it could clog your pores. I love DIY Masks because they are easy to make, healthy and inexpensive. For this mask, all you need to do is combine a tablespoon of yogurt with an egg. Using yogurt on your skincare is beneficial: it lightens skin tones and blemishes and helps fade skin discolorations while offering the necessary nutrients and moisturization. The egg, however, tightens large skin pores minimizing the oil production. It further can tighten sagging skin and is good for aging skin. Apply it for 10 to 15 minutes until it dries, and rinse it off first with warm, and then cool water to cool off the pores. I have been using this Coconut Honey Mask for the last half a year, and I am really happy with it! As I live in the Netherlands, where the wind is very strong during winter, and biking does not help, I was looking for a face mask which would keep my skin healthy throughout the day. The two main ingredients of this mask are the extra virgin coconut oil and the mountain wildflower honey. The coconut oil has a rich complexion of vitamins which helps my skin fight dehydration while keeping it moisturized. The honey, on the other hand, nourishes and replenish my skin, leaving it purified and soft. It is rich in active enzymes and gluconic acid, ingredients that have brightening properties. How to use it: Apply the mask softly on your skin, leave it on for 15 minutes, and remove afterward with a wet towel. I often take a warm shower before applying the mask since that opens my pores and allows the skin to soak the mask better. Use the mask once or twice a week, depending on the dryness of your skin. This Ginger Leaf and Hibiscus Mask helps to firm your skin during nighttime giving you a smoother appearance. The mask has a soft, velvety texture which feels good on your skin. The mask moisturizes your skin and helps reduce fine lines over time. Although this mask is for dry skin, other skin types can use it as well due to its light texture. How to use it: Massage the mask on your skin before going to bed and leave it overnight. In the morning, cleanse the skin to remove the mask. You can use it 5 times per week. This was my full list of face mask recommendations! I always try to find skincare products which contain healthy ingredients and are affordable. I hope you can find a good product from my list and give your skin the necessary care! Would love to know your experience!